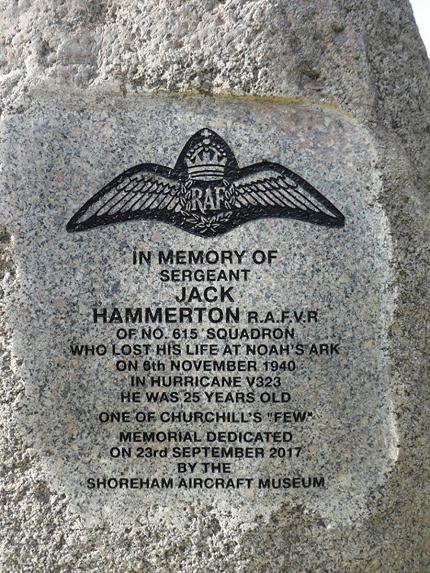 As part of its ‘Local RAF Memorials Project’, which seeks to pay tribute to ‘The Few’ who lost their lives within a 10 mile radius of the Shoreham Aircraft Museum, a stone memorial was unveiled on 23rd September 2017 to honour Sergeant Pilot Jack Hammerton of 615 ‘County of Surrey’ Squadron. 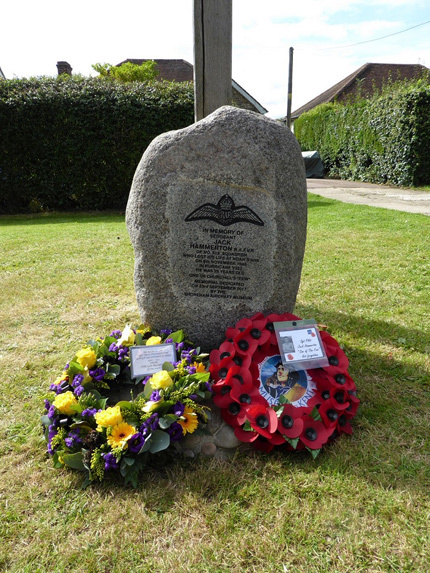 He lost his life on 6th November 1940, when his Hawker Hurricane crashed at Noah’s Ark, near Kemsing in Kent. The dedication service concluded with a tribute flypast by the Hurricane from the Biggin Hill Heritage Hangar flown by Clive Denney. You are currently browsing the Shoreham Aircraft Museum – News archives for September, 2017.